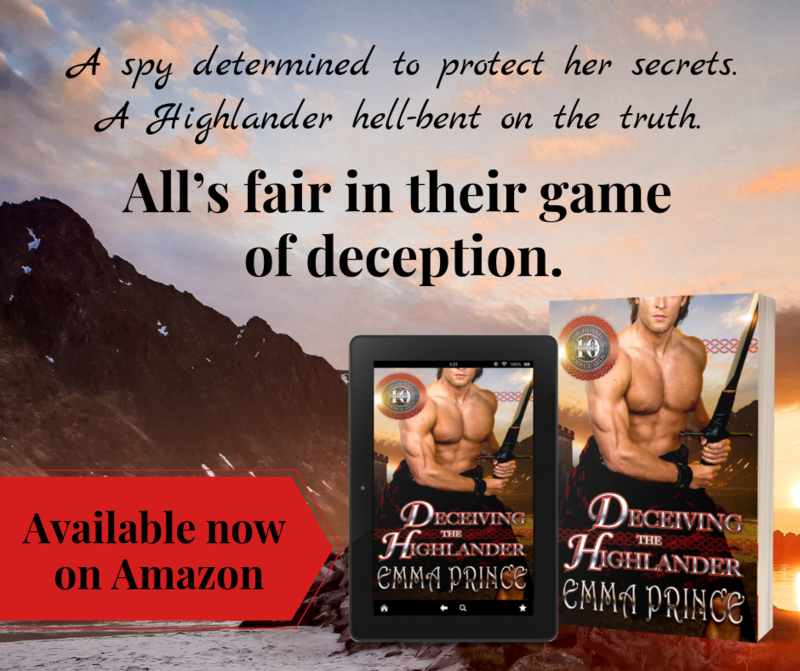 Deceiving the Highlander is here! It’s release day for DECEIVING THE HIGHLANDER, the final book in the Highland Bodyguards series! It’s a bit bittersweet to see the series end, but also satisfying to give all the characters their happily-ever-after. Buy this sizzling, page-turning Scottish historical romance in ebook or paperback on Amazon, or read in Kindle Unlimited. Happy reading!